Diamonds are the perfect representation of eternity, because they have—quite literally—endured the test of time. The pressure beneath the Earth’s crust hides nature’s most amazing potential, and if your beloved scoffs at decorating his band with diamonds, remind him of this gem’s volcanic and dirty beginnings. Then use these tough gems to create the ideal accent for diamond men’s wedding bands. A brushed white gold band is classic and sleek, but the brushed texture also exudes a casual vibe. 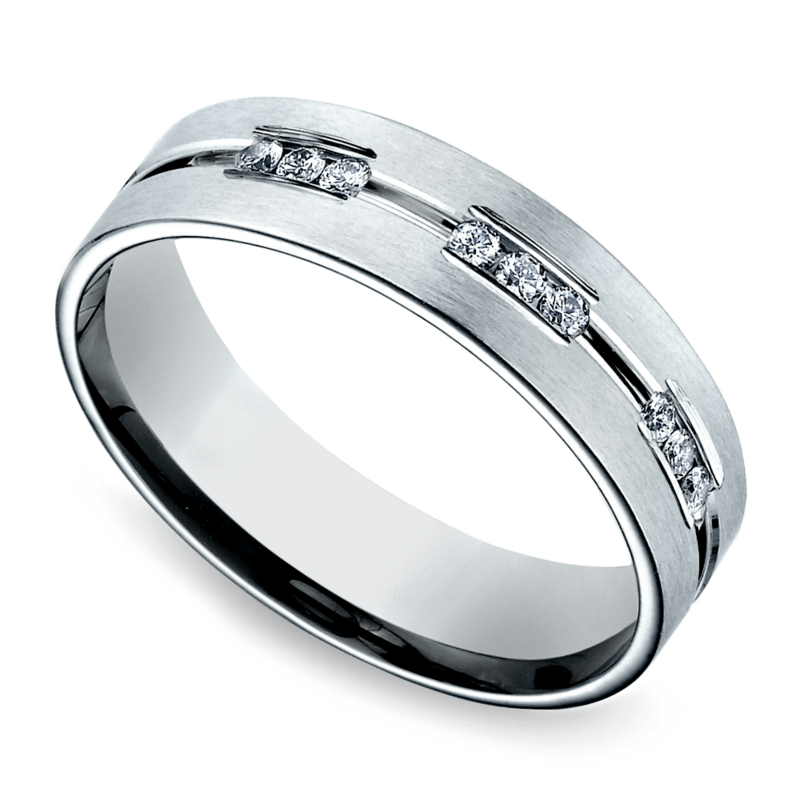 Drop in a center round diamond, though, and this band rises to another level of sophistication. This is the business casual of men’s rings—dressed down, but still professional and powerful. 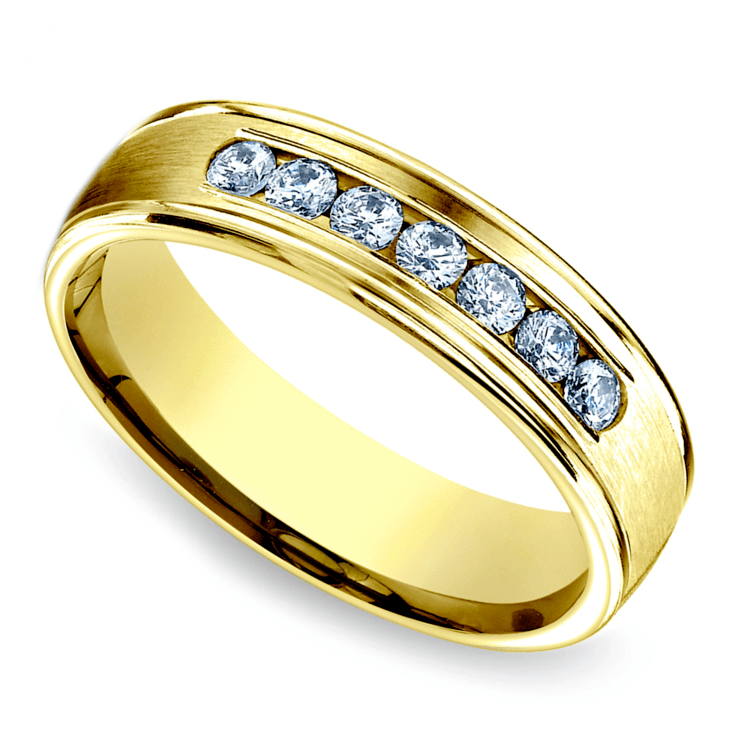 A row of channel set round diamonds provides the central accent to a warm yellow gold band. Multiple diamonds demand attention, and this is a look that works well for men who want more formality from their wedding band. 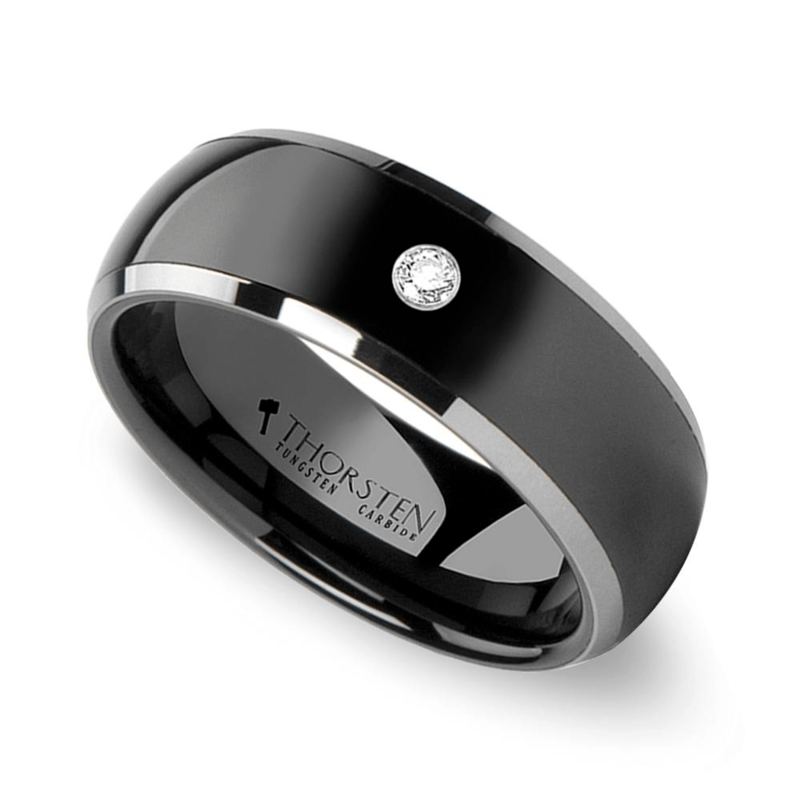 A black band is an alternative style for grooms, but the dark hue also makes a dramatic backdrop for a diamond. A bezel set white diamond presents as a dynamic star against the ebony ceramic band. Ceramic is also a cost-efficient material to choose for those on a tight budget! 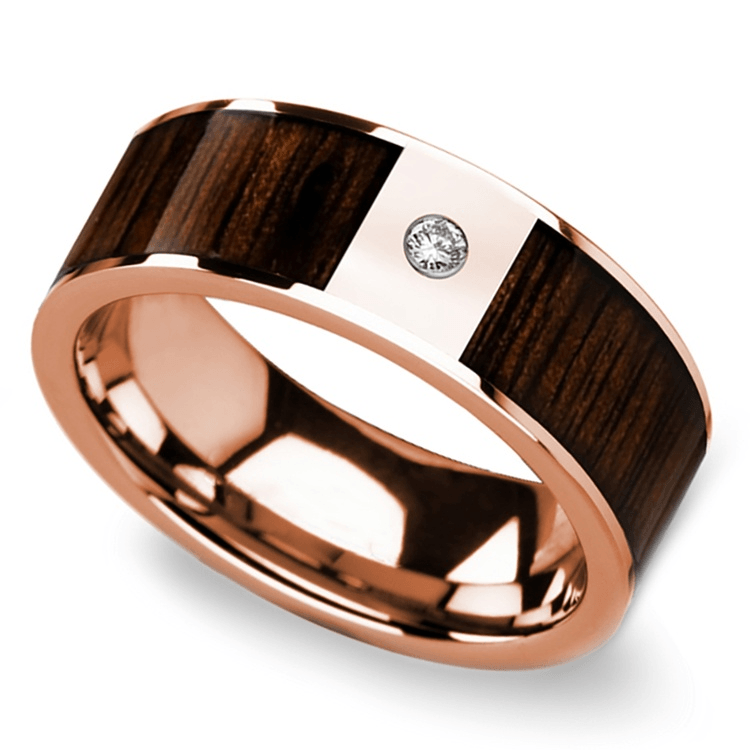 For a laid back and rugged appeal, choose a band that includes a warm wood inlay to play against the diamond detail. While the look is still classic, the wood tones down the formality of a diamond accent. A row of diamonds aligned vertically in the center of the band creates a dynamic accent without overpowering the simplicity of the ring. Keep the diamonds small, unless he wants a more formal appeal (then go bolder!). Some guys want a band full of never ending diamonds, and we fully embrace the eternity style for men. While you can choose any shape of diamonds to create his eternity band, round is typically the classic choice. 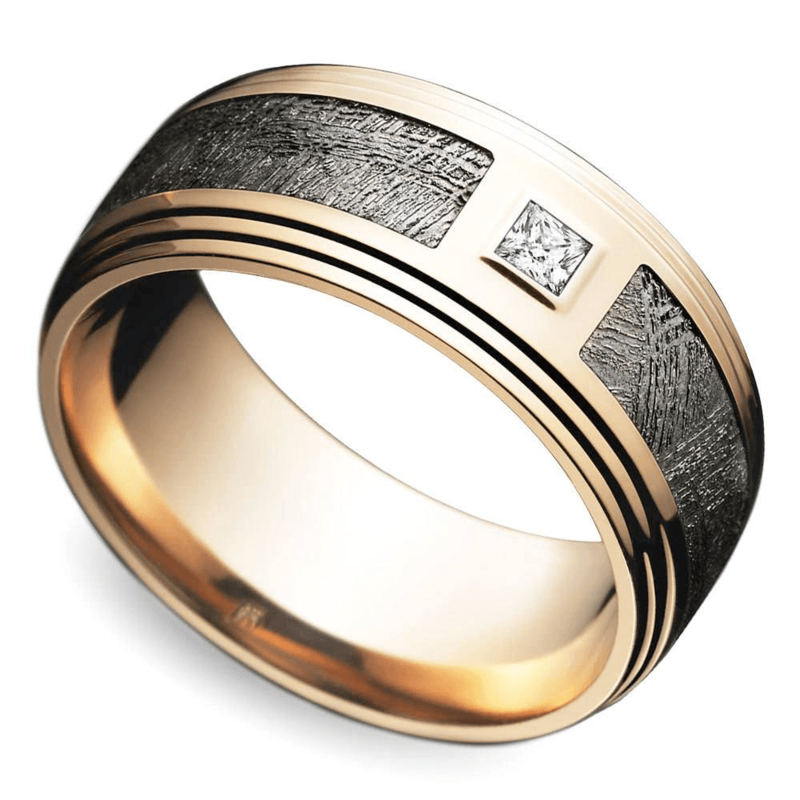 Men’s diamond wedding bands don’t have to feature clear white diamonds, you can also use fancy yellow diamonds, champagne diamonds or even black diamonds to create his ring. 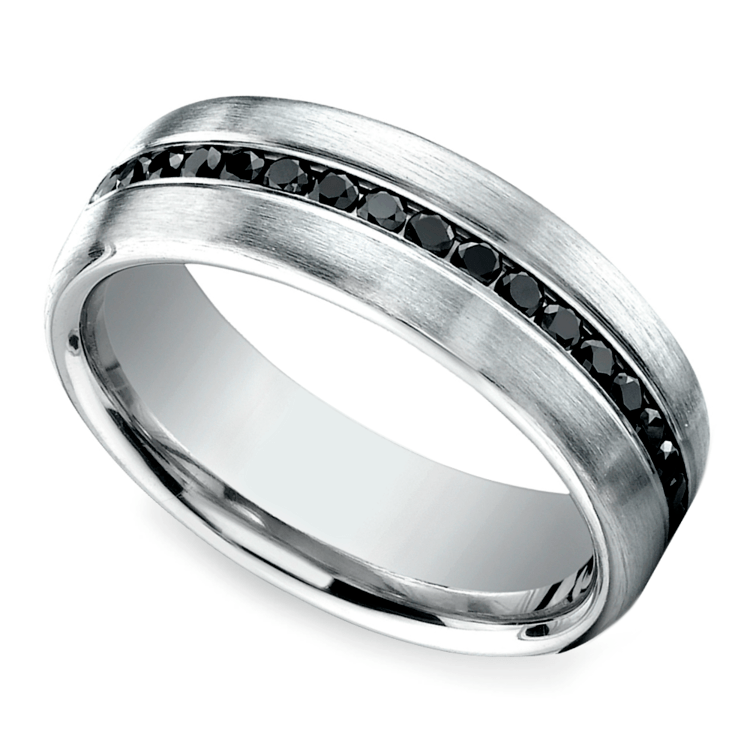 Pair a diamond hue against a metal that lets the color pop; black diamonds look best within a silver-hued band. Pair a solitaire diamond with meteorite for a ring that represents the millennia and beyond. Gideon meteorite borders a clear white diamond to create a unique and space-age style. Can camo go buttoned-up? But of course! 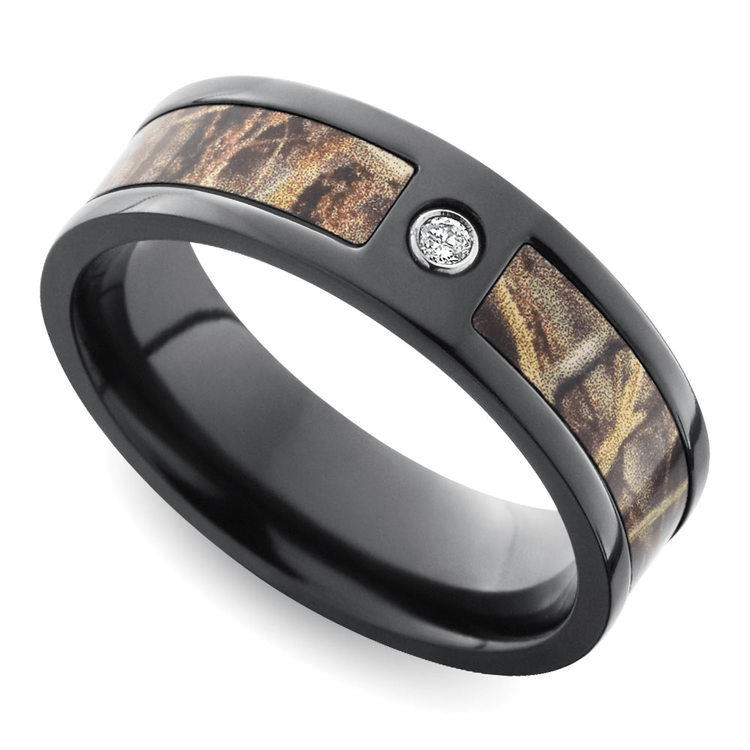 A camo inlay borders a round white diamond for a casually elegant interpretation of the typical hunting pattern. 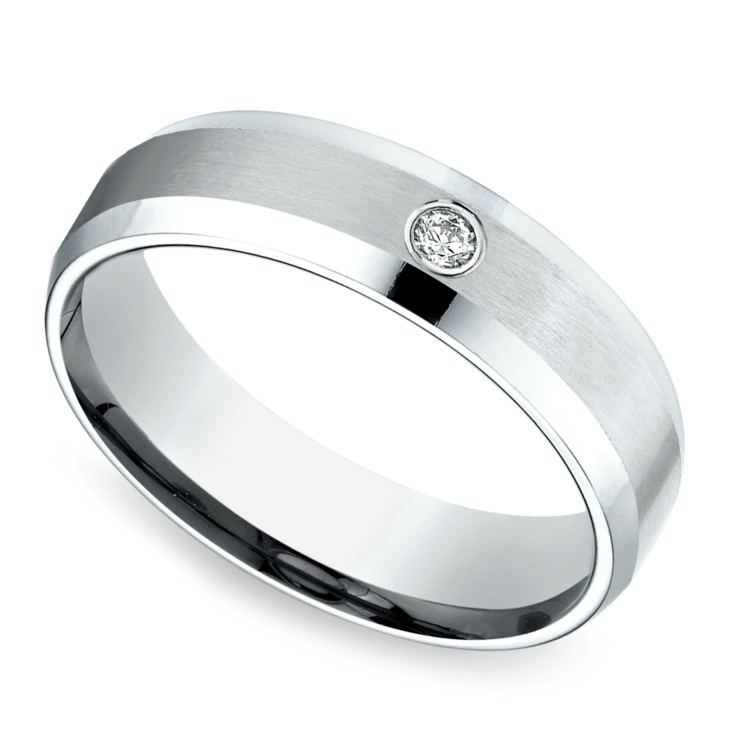 Pair diamonds with a meaningful central gemstone accent to create a nod to his birth month or your wedding month. 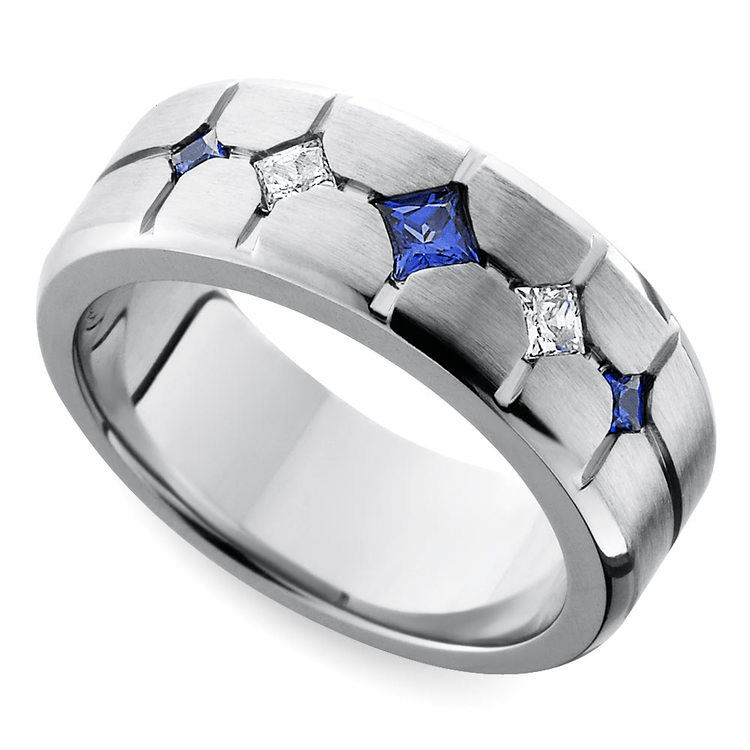 The most popular choice for men’s rings today is sapphire: masculine blue symbolizing royalty and wealth. 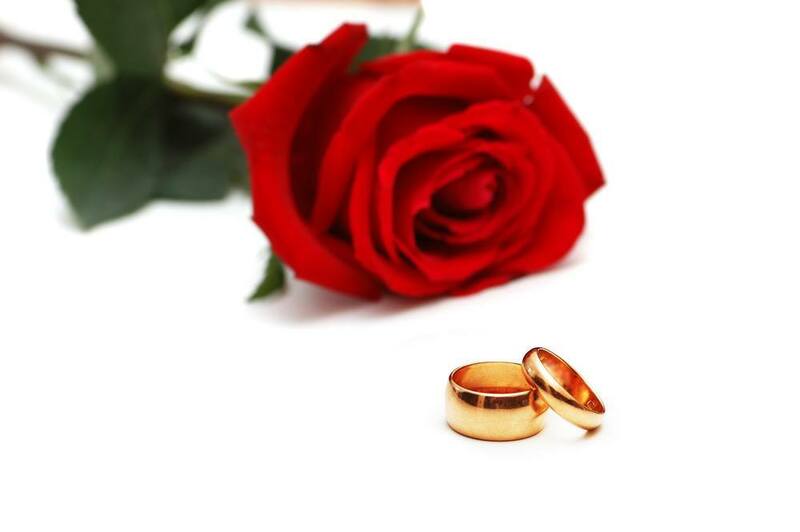 There are so many different styles of diamond men’s wedding bands, so choose the ring that best compliments him and can endure his lifestyle. If he’s at his desk for most of the day, a more formal setting may be appropriate. However, if he works with his hands or enjoys a more active lifestyle, then select a setting that protects the diamond from wear and tear—like a bezel or channel setting. Don’t be afraid to opt for colorful diamonds or a nonmetal band material to showcase his individuality. No matter what ring he wears, just be sure that the style you select will endure for a lifetime, just like the vows the band represents.